Watching the pilots pack their bags and walk out of our just-boarded flight. Since 9/11, I haven’t seen a cockpit open, empty and exposed. Several otherwise calm passengers breaking into yelling fits, after several hours of “we’ll board in 15 minutes”. Security guards were called and I wasn’t sure how far it was going to escalate. A couple hundred people lined up at customer care like refugees to get blankets and rations (sodas, potato chips and cookies). Small groups of us doing jumping jacks and sprints at 3am, to combat the near-arctic air conditioning. One gentleman being carried out of the plane because of a hastily-ingested Ambien. All that – just tonight. 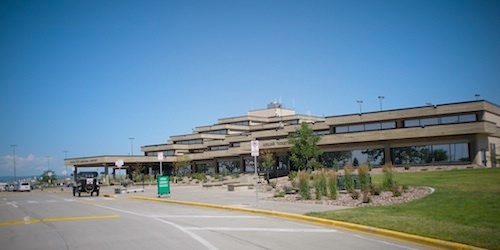 So, in celebration of airports, delays and the hassles that we endure due to our love of travel – I’m dedicating this post to the 10 airports that I have visited in the last 28 days. We all know the drill. Get up too early and scramble to the airport (usually a bit late). Rush through ticketing and get mired up in security (especially in the US). Slowly dribble into the aircraft and find a seat. Spend several uncomfortable hours trying to find new and varied ways to stretch out our aching joints, while not intruding into the space of the guy next to us. Hopefully spark up an interesting conversation, while saving the “I’ve got a book to read” maneuver in case they are exceedingly dull. 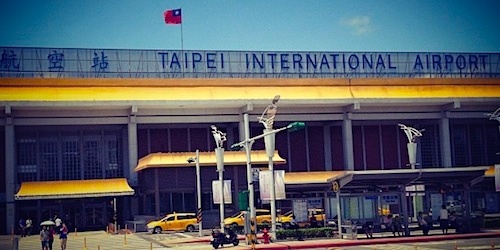 Slowly dribble out of the aircraft and speed walk through the terminal — only to get mired up in customs. Rush to grab some cash and the catch the taxi/bus/train. Find our hotel. Seek an adventure. Rinse and repeat. For the past four weeks, I’ve been traveling for my business – which basically means: many miles in very few days. While I’ve seen more airports, hotels and conference rooms than I care to recant, it has given me a chance to plot out sights for my next “fun-time, all-for-me” trips. RAP is my home-town airport now and I love it. Small and efficient, I leave my house, blaze through security and board the plane within 50 minutes. 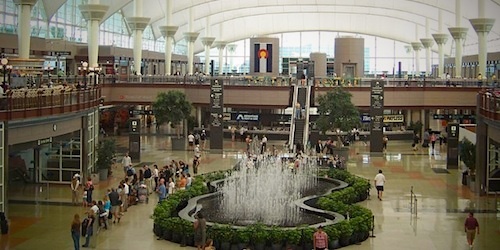 DEN is a hub that I’m always running through, but is rarely a destination. I don’t know it as well as Chicago (ORD), but it does the job. They used to have a local chile, raspberry and sugar candy in one of the shops, but I can’t find it anymore. That makes Plough a sad boy. 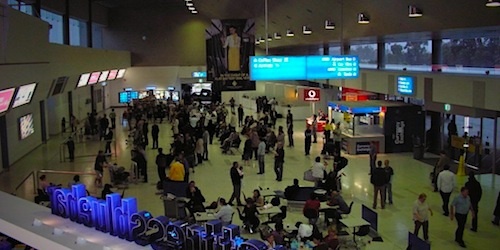 LAX – I typically avoid this airport like the plague – preferring SNA, but if you’re going to Australia – this is a likely stop. SYD – Now we’re talking! We’re finally getting to airports that are interesting (or maybe I just feel that way because of how much I love Australia). Customs have always been decently fast for me and quick access to the city train is a win. 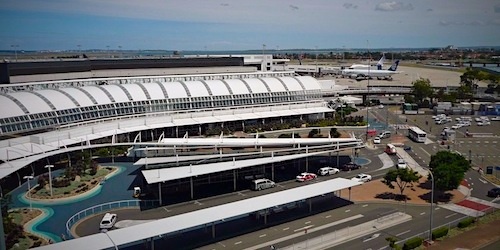 MEL – This is the airport I usually fly into, though I once flew into Avalon Airport (AVV). I don’t know if it has changed, but at the time AVV wasn’t much more than a steel building and a dirt parking lot. It’s a must if you’re going to fly Jetstar, though. 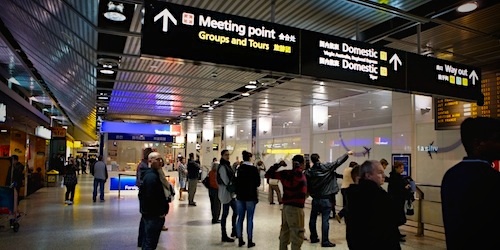 PER – This was my first time in this airport and I didn’t know what to expect. I remember thinking that it was much smaller than I expected. I was dead tired and didn’t explore much. Perth, however, seems to offer a plenty of interests — especially if you’re willing to drive several hours. 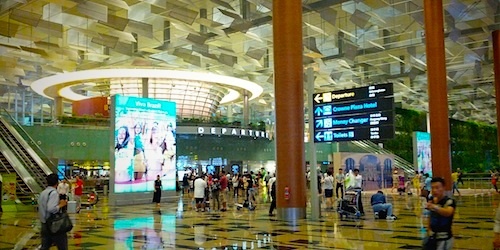 SIN – Otherwise known as Changi Airport, this is one of my absolutely favorite airports. Clean, great architecture and design, plenty of things to eat and see. (If you’re a shopper, you’ll LOVE it.) 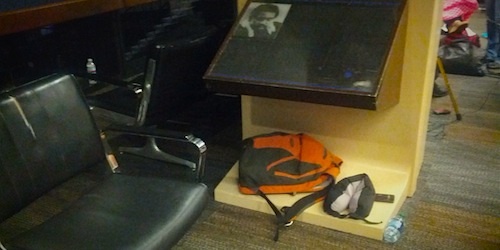 Plus, they have a quiet little sleeping section with wave-like lounge chairs. Oh, how I wish SFO had a few of these! I would rank SIN in my top 2, with Seoul being the other contender. HKG – This was another rush-through, unfortunately. I really want to do more exploring the next time I’m stuck there. I can say that the express train from Hong Kong is fantastic — especially with the in-terminal check-in and baggage services. Just remember that you may need to do special planning for flying through Hong Kong. For instance, I went from here to Taipei and needed to have both my flights into and out of Taipei documented in order to check in at HKG. 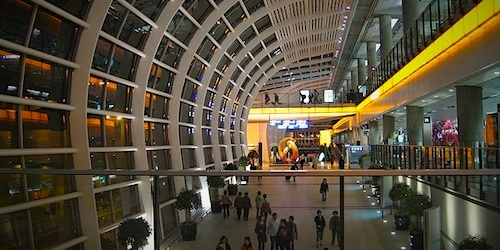 TPE – This airport was exceptionally clean on the inside, and much smaller than I expected on the outside. It has a bit of the TARDIS effect going on. 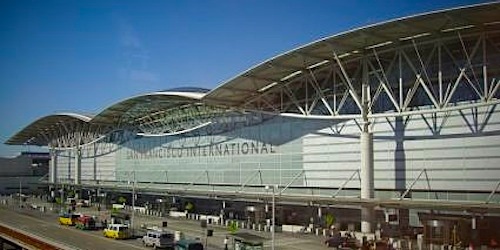 SFO – The airport is okay, but being so close to San Francisco is the real draw. If only I had known that I would be stuck here for nearly 24-hours, I would have taken BART into town. Fresh seafood anyone? I never seem to have enough free time to spend in in San Francisco. I’m going to spend some serious time here soon. 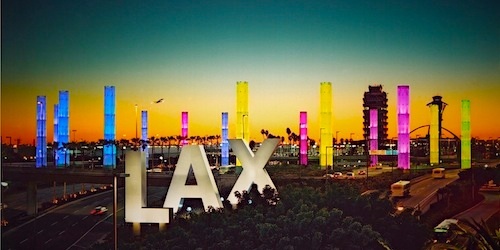 I love the fact that airports are synonymous with new destinations, new experiences and new vistas. I only wish I could drive everywhere. Road-trips are nearly spiritual, while air travel feels like riding in a cattle car. Read the intro again. Today has been one of those days. Not to say this is the worst experience that any of us have had — just another war story to throw in the chest. I try damn hard to remember that breakdowns are the result of organizations and circumstances — not the customer rep in front of me. Besides – I’ve had more interesting conversations tonight than in the rest of the airports combined. Take what you can from each experience. Next up – I’m going to bunk up and get a couple hours of shut-eye. 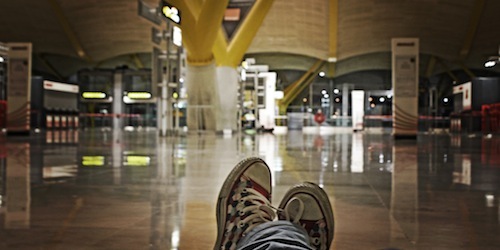 Tomorrow I’ll hopefully catch a flight that takes me on to the next… airport. @peter – yes, exactly! It does bring everyone closer. It’s also interesting to see how people behave — you find out the best and worst in stressful situations.